With one week to go until polling day my coverage of the local elections is drawing to a close. Some ward results are predictable, others wards will help determine the outcome of the election and whether Labour retain control of Bridgend. Here’s a rundown of what I think those last ones are. All candidates are listed in alphabetical order – first by party then by surname. 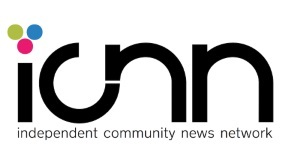 Incumbent candidates are in itallics. By being the most populous ward in the county, and also the one with the most seats, Brackla will always be keenly contested.It’s a piece of stereotypical suburbia – mostly car-oriented privately-owned homes in cul-de-sacs (think Brookside). In England it would be classic Tory territory – and there’s a good reason Theresa May chose it for a campaign event earlier this week – but Labour dominate the community council and usually take at least half of the available seats.However, in 2012 Labour managed to take all four seats in one of the shock results of the election. This year though they face a much stronger challenge from the Tories and probably a slightly more distant one from Independents. If Labour can get their vote out I’d fully expect them to hold on to at least two seats; as for the other two seats it’s difficult to call at the moment but you would expect the Tories to win at least one of them after the song and dance on Tuesday. A village at the head of the Llynfi valley. Like many similar places it’s been blighted by post-industrial decline and consists mainly of terraced houses and post-war social housing estates which often rank amongst the most deprived areas in Wales.There’s been some investment in the area, but it’s the sort of thing you would expect – a tarted up high street with few shops, a new school and some trees. A future exciting development is a pilot for geothermal energy from former mine workings which could help tackle fuel poverty.Politically you would expect it to be a Labour clean sweep, but following the selection row last year, the Llynfi Independents will seriously threaten them. 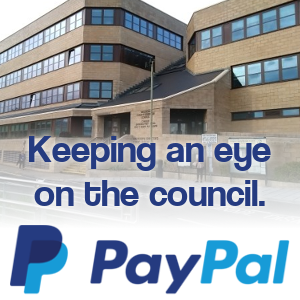 Phil White and Phil John should have enough of a personal vote to be re-elected and it’ll be a straight fight between Labour and Llynfi Independents for the third seat – and which way that seat goes will help indicate whether Labour will retain control of the council or not. A mostly quiet residential area made up of a mix between 1960s/1970s family homes and bungalows aimed at retirees. Despite being one of the least-populated wards in the county it’s set to be keenly contested.At the moment it’s held by former Labour councillor, Cleone Westwood, who’s sitting (and standing again) as an Independent as a somewhat unexpected victim of the Labour “purge” last year.Paul Warren is putting up a strong challenge under the Change for Bridgend banner, while Labour will be pushing really hard to take the seat back; if they can retain seats like these they’ll probably come out on top across the county. You would think Cleone would be favourite as an incumbent, but it could very easily go anyway and, based on the demographics of the area, even if it isn’t natural Tory territory it’s the sort of place you would expect them to pick up votes from based on how the polls have been going. Both of the Maesteg seats are near enough identical in terms of profile, but as Ross Thomas is probably the most well-known councillor “purged” from/resigned from Labour last year it’ll be a good idea of how the Llynfi Independents will perform across the valley.It’s a pretty crowded candidate list, and that really helps Labour to the point that you’ve got to be suspicious about the inclusion of two unaffiliated Independents, which may cause confusion in the ballot box and draw votes away from the Llynfi Independents….or maybe not. Ross Thomas is well known enough to have a personal vote and I’d be surprised if he wasn’t re-elected, but the same goes for Ceri Reeves.Plaid have done OK in Maesteg in previous elections but you wouldn’t expect them to get anything from this. So I’d expect it to be one Labour, one Independent – a result likely to be replicated in Maesteg East too. But if people want to give Labour a poke in the eye and cause them problems, the Llynfi valley is the best place to do it. Morfa covers central Bridgend (and the Wildmill estate) and comes with the multitude of problems you would expect for an urban ward – car parking difficulties, traffic, houses of multiple occupation, anti-social behaviour.It’s swung all manner of directions over the last 20 years. At the start it was rock solid Labour, then it was briefly a Lib Dem stronghold, then things swung towards Independents with Plaid Cymru putting up reasonable performances (when they’ve stood). 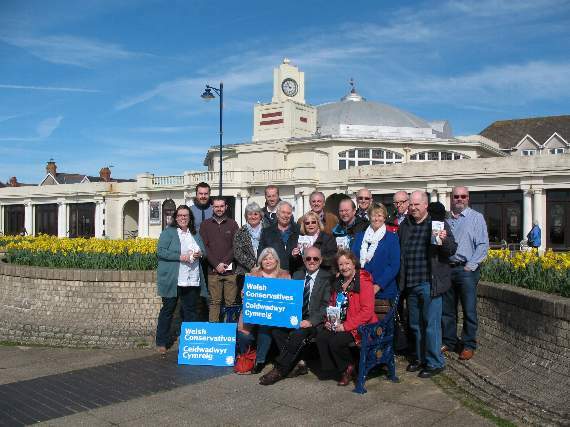 Tories are standing here for the first time since 2004.Considering it covers Bridgend town centre, Change for Bridgend will want to win at least one of the seats, but they face strong rivalry from – not necessarily Labour – but Peter Foley, who’s served Morfa as a Labour, Lib Dem and now unaffiliated Independent councillor. I don’t see Labour winning both seats (if any), it’s just a question as to where the Independent vote goes and considering his 20+ years of incumbency, Peter Foley will have an advantage of the three based on name recognition. Another “top of a valley” village that usually ranks poorly in deprivation figures, but not to the same extent as Caerau. Most of that is perhaps down to the poor quality of the housing in the area which is mainly out-dated terraces. Nantymoel has a few things going for it though, including some of the best scenery in the county and a well-regarded primary school. However, its distance from major centres and loss of community facilities does offer a sense of isolation.It’s one of the few seats in the county where Labour will (realistically) be looking to make a gain following their by-election success in Ogmore Vale in 2015, but things have changed since than and you would expect David Owen to have an advantage as an incumbent. Speaking in general terms it includes some of the wealthier areas of Bridgend town (and largest homes) but also large proportions of rented and social housing on the Ystrad Fawr and West House estates. It doesn’t have any particular allegiance to a single party with the ward swinging between Conservatives and Labour. David Unwin’s (well known) previous history as a Conservative county councillor is being pushed by Labour activists, but after the current polls if anything that’s likely to garner him greater support.It’s also the First Minister’s ward (if he still lives on Park Street), so anything other than two Labour holds will be somewhat embarrassing for Carwyn. The anti-Labour vote splitting between Change for Bridgend and a resurgent Tories could be, ironically, what keeps the seats for Labour. Oldcastle has two distinct areas. Firstly, the dense terraced and post-war housing around Nolton Street, Waunscil Avenue and Jubilee Crescent – some of which is social housing and you would expect to be Labour-voting. Secondly, there’s the settled professional suburban areas around Merthyr Mawr Road. It’s usually Labour-leaning though the Lib Dems have enjoyed success here in previous years.It’s hard to call this one. Large chunks of Oldcastle are natural Tory territory though they’ve never actually won there in county elections. If there’s enough of a desire for change then Independents could well pick up at least one seat (you would expect both Edith Hughes and Freya Bletsoe to be in with a good shout). My gut instinct is that Labour will struggle here. A mostly well-to-do village on the outskirts of Bridgend. 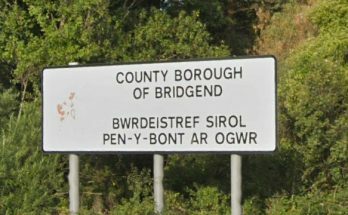 It’s effectively a suburb but has enough of a detachment to maintain a distinct identity and also – somewhat bizarrely – has a relatively high proportion of Welsh-speakers compared to the county average.The sitting councillor has been selected to run in Mel Nott’s old seat of Sarn, so Labour have put forward charity boss Heidi Bennett, whose CV is typical of someone being groomed for higher office by the party. Meanwhile, the Conservatives have put forward former Assembly Member for South Wales West, Altaf Hussain.Meryl Wilkins has name recognition in the area and served as both a Lib Dem and Independent councillor for Penyfai between 1999 to 2012 – where she narrowly lost to Labour. A tough one to call, but based on the polls and vote splitting this could be a surprise Tory or Independent gain. All of the wards in Porthcawl are interesting contests because they’re all single-member wards (and hence elected by first-past-the-post which negates the impact of bloc voting). 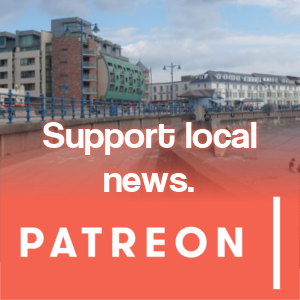 Alana Davies is a former cabinet member for education and was the only big surprise loss of the 2012 campaign for Labour, as Porthcawl swung in favour of Independents following a range of concerns not entirely restricted to stalled regeneration. A source close to the campaign has predicted Independents could win four of the five seats in the town, and they expect Independents to hold this seat – perhaps with a reduced majority. However, with the Conservatives polling well – and Porthcawl historically backing the Tories to a certain extent – it may have thrown the contest open. Covers the small town/large village of Pyle and the village of Kenfig Hill. It’s very much a valleys profile area but located within the Bridgend constituency. 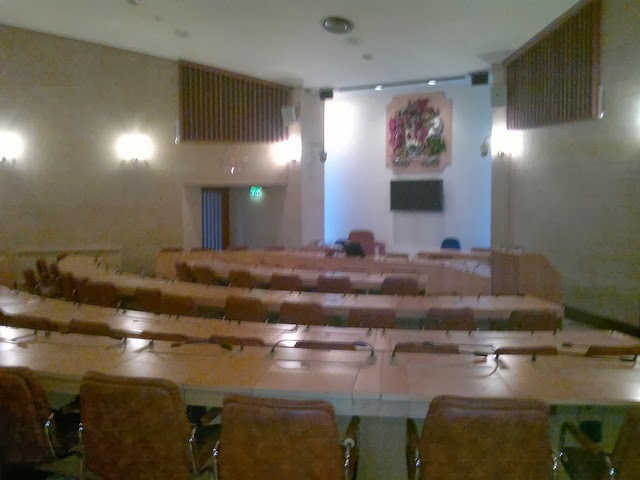 It’s usually locked down for Labour but all three sitting councillors are standing down, meaning the new candidates don’t have a track record for voters to judge them on.Pyle’s the only ward in the county with no Independents standing. So if things go good for Labour, they should take all three seats which would be a big boost to their chances of retaining overall control; but if recent polls are to be believed then maybe the Tories (or possibly Plaid) also stand a chance of a surprise gain here too – and this is about as far from natural Tory territory as it gets. An area made up mainly of post-war additions to older villages like Tondu and Brynmenyn, and has increasingly become a dormitory suburb of Bridgend. As mentioned in a previous post there’ve been a number of housing developments in the area – with more planned – that have stretched local services and infrastructure.It’s been held by Labour since 1995, with veteran councillor Lyn Morgan standing down this year. On paper it should be a Labour hold but the loss of a recognisable figure does present a challenge, with Plaid Cymru heavily targeting this ward and neighbouring Aberkenfig.As for why there are two Independents standing, you’ve got me there. It’s a slightly bizarre choice of seat for Haydn Morgan – a sitting councillor for Morfa and former Labour member. With the crowded list, it’s probably going to swing things back in Labour’s favour again.